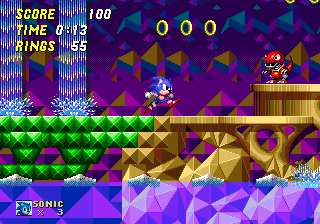 Sonic the Hedgehog 2 has been ported to just about every platform imaginable. I would hazard a guess that many devoted fans of the blue blur own more copies than can be counted on a single hand. Of all the versions of the game that exist, though—there’s never been one quite like this. Before I cut to the chase—allow me a brief aside. 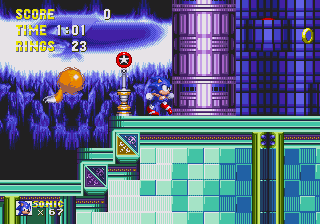 Christian Whitehead, the talent behind that awesome high-definition, fully remastered (but faithful to the original) Sonic CD didn’t just stick to one Sonic game. He promised he’d give a similar treatment to both the original Sonic the Hedgehog and its sequel! The only drawback—these remastered versions, rebuilt from scratch and offered care/attention that dares compete with folks like M2 and their SEGA 3D Classics ports, are…exclusive to iOS and Android. No console versions…yet? I played the iOS version of Sonic the Hedgehog. You can hear my thoughts regarding how wonderfully this game has been handled, despite my epic struggle with mobile devices. Told you that to tell you this. As you’re reading this, the remastered version of Sonic the Hedgehog 2 has arrived on iTunes and Google Play. Cool. What’s the punch-line? It features a fully playable Hidden Palace Zone. I’ve been waiting some twenty years to see an official release of this level. I imagine I’m not alone—the handful of Sonic fans around my age surely remember the same magazine scans and history that I do. If you’re a recent Sonic-convert (for lack of a better phrase)—researching the changes made to the old games prior to release is quite fascinating. I’ve spoken at length about how far my “research” has actually gone. If you’d have told me I’d be playing an official release of Hidden Palace from Sonic the Hedgehog 2 in 2013, I’d probably call you insane. I’m not one to interject my personal feelings into a news story, but man—this is wicked cool. If you already own the iOS version(s) of Sonic the Hedgehog 2, you can upgrade for free. If not—it’s available for $2.99. This game is also available on Google Play.